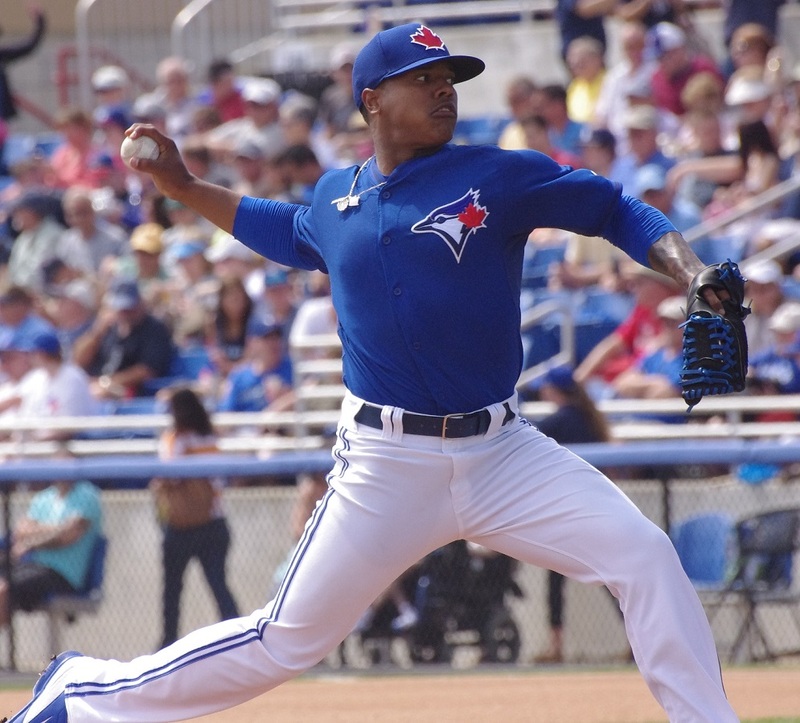 I guess Marcus Stroman was geared up for his game yesterday! Six innings of outstanding work that featured some absolute filth on his part. Glad I was watching, hope you were too! On to the minor leaguers! Deck McGuire took the hill for his second Triple-A start and was absolutely dominant despite allowing two runs on three hits. He threw 62 of his 88 pitches over seven innings for strikes and struck out four (walking none). Unfortunately, he didn’t get the “W” thanks the sluggish offense for the first seven innings but Ryan Tepera and Neil Wagner shut the door for the last couple of innings. In fact, it wasn’t really the Syracuse Chiefs that got to McGuire, it was just left fielder Zach Walters (hitting .327) who went 2/3, hitting a home run and a double off of Deck. The offense wasn’t doing much but Munenori Kawasaki hit a single and a double and Jared Goedert and Dan Johnson each drove in a pair of runs. For a nice change of pace, the New Hampshire Fisher Cats won their evening match against the Altoona Curve, getting an outstanding pitching performance from newcomer P.J. Walters. Walters allowed only one hit and three walks while striking out 10 in his seven inning outing, slicing through Altoona like a hot knife through butter. Andy Burns and Ryan Schimpf led the way on offense. Burns went 2/4 with a solo home run while Schimpf went 2/4 with a double and two RBI. Melky Mesa had two doubles and Kevin Nolan had two hits. The Hammerheads hammered Ben White for four runs on eight hits in 3 1/3 innings and the offense was unable to do very much at all in a rare loss for the D-Jays. The bullpen was strong with Efrain Nieves and Justin Jackson combining for 3 2/3 scorless innings and Tony Davis allowed the final run in his inning of work. The hitters only managed five hits with Dalton Pompey going 2/4 and stealing his 20th base. 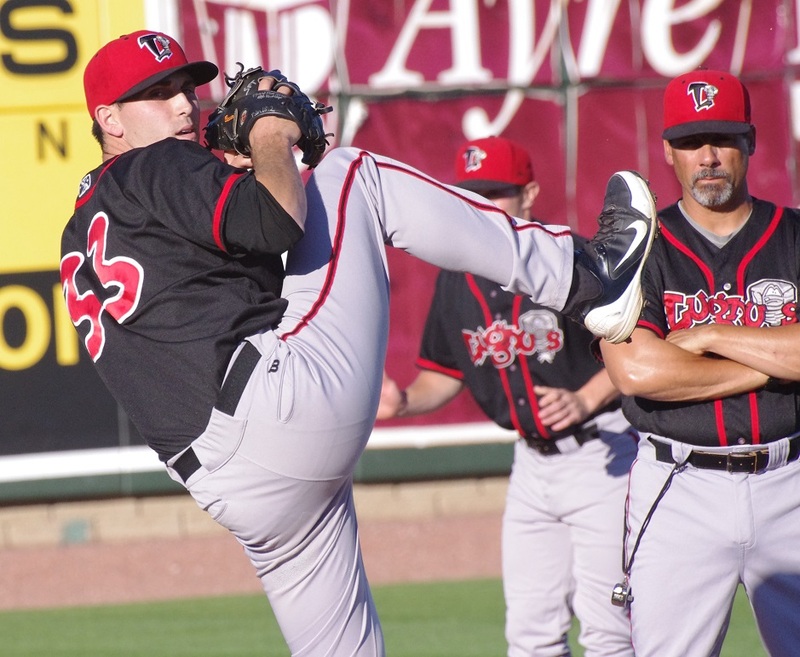 Showing some life towards the end of the game, the Lugnuts’ offense just couldn’t score enough off of the Dragons to tie or win the ballgame. Jorge Saez and Mitch Nay did their parts though with two hits each. Nay had a single, a double and two RBI, (hopefully) breaking out of a big slump while Saez added a sacrifice fly and is hitting .311 now. Derrick Loveless hit a triple and drew a walk and threw out a runner at third base but also was caught stealing. Chase De Jong was chased after a 1 2/3 innings, allowing six runs on six hits with two walks but Roberto Espinosa only allowed one run in 3 1/3 innings and Adaric Kelly held the Dragons hitless in three innings of work. The Dominican Summer League got under way and, while I won’t go into too many details, there were a couple of performances that stood out. 16-year-old third baseman Bryan Lizardo, a big-name signee who probably went under the radar last year went 2/4 with a triple in his first game and 17-year-old catcher Javier Hernandez hit two doubles, going 2/4 with three RBI. 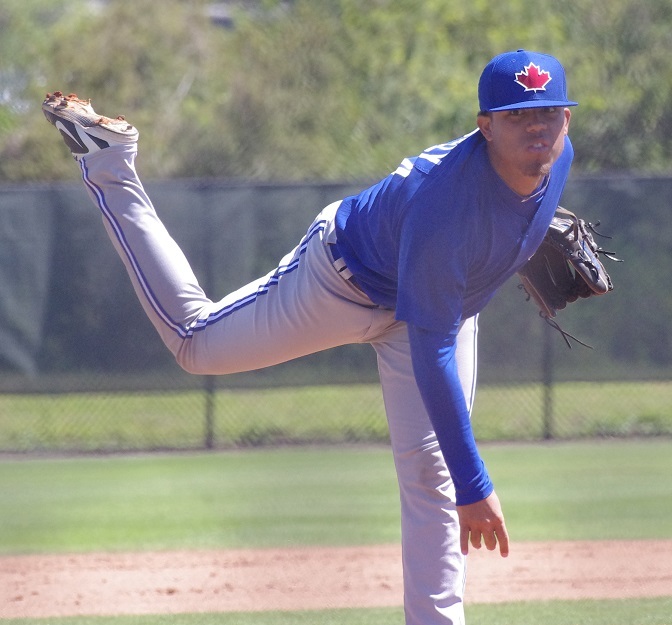 The Jays have a lot of pitchers down in San Pedro de Macoris and Denis Diaz started, allowing a run on three hits. Luis Sanchez earned the win, throwing three innings and allowing two unearned runs. It’s a Ricky Romero day! Yup. Wild Thing hits the mound against Syracuse for yet another start filled with wonder and adventure. You can catch it at 1:05 PM on MiLB TV. The surging (they’ve won two games in a row) Fisher Cats face the Altoona Curve and A.J. Morris without an announced starter. Morris, 27, is 5-1 with a 1.65 ERA so far this season and is getting tons of ground balls. This game (apparently) is also on MiLB TV at 1:00 PM. In another afternoon game, Matt Boyd returns to the Florida State League and looks to rediscover the dominance he had for Dunedin against the Jupiter Hammerheads and Austin Brice, a 21-year-old righty. This one starts at 1:05 PM. Alberto Tirado goes to the mound for the Lugnuts with a 1-1 record and a 5.24 ERA. He’ll likely be followed by Alberta native Shane Dawson while facing the tough Dayton Dragons.